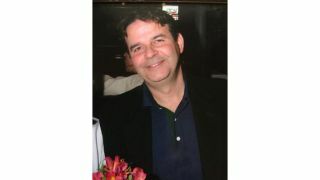 Audio industry veteran John R. Petrucelli of Hawthorne, NJ, passed away at the Hackensack University Medical Center on January 21, after a lengthy illness, according to his obituary from the Wallingford Funeral Home. He was 64. Over a career spanning more than 35 years, Petrucelli developed many innovations in console design. Beginning his career by founding PET Projects, a company that modified and sold existing recording equipment to studios throughout New England, he eventually began designing and building his own equipment. In the early 1980s, as an engineer at Allen & Heath Brenell USA, he designed a number of live sound mixers that were sold by the U.K. parent company internationally. He then continued his career as a founding member and chief engineer at Crest Consoles, where he developed several product designs that helped grow the company into a top supplier to the professional touring and audio install markets. In 2004, he became a founding member and part owner of APB-DynaSonics, a company for which he then served as president and chief design engineer. Most recently, he had worked as a contract design engineer for various companies including PMI Audio. According to those who knew him, Petrucelli possessed a unique sense of humor, able to make everyone around him smile and engage in discussion with him, and was a very caring and thoughtful man, thinking of others before himself.